Almonds have been claimed for health benefits but their Omega 6 to Omega 3 Ratio is off the chart. And, in fact, there are no detectable Omega 3's. 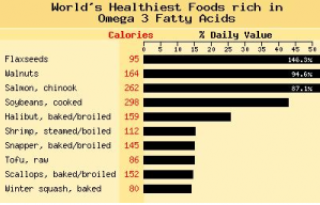 "The ideal ratio of Omega 6 to Omega 3 fats should be between 2 and 3 to 1. For most Americans unfortunately, it's between 10 and 15 to 1. 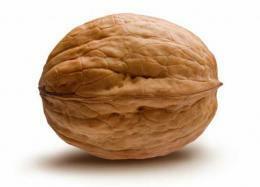 All nuts and seeds, except for Walnuts and possible Macadamia nuts, have unacceptable high Omega 6 to Omega 3 ratios. This is why you must eat them in small amounts." Walnuts are made up of 15 to 20 percent protein and contain linoleic (omega-6 fatty acids) and alpha-linoleic acids (omega-3 fatty acids), vitamin E and vitamin B6, making them an excellent source of nourishment for your nervous system. Loaded with unsaturated fat, vitamin E, and ellagic acid, walnuts can lower cholesterol, fight cancer, and boost your brainpower. - Decreased levels of ICAM-1 and VCAM-1 and E-selection, all of which are involved in cholesterol's adhesion to the endothelium (the lining of the arteries). - Contain an antioxidant compound called ellagic acid, which blocks the metabolic pathways that can lead to cancer. Ellagic acid not only helps protect healthy cells from free radical damage, but also helps detoxify potential cancer-causing substances and helps prevent cancer cells from replicating. A new study published in the Journal of the American College of Cardiology found that eating walnuts after a meal high in unhealthy fats could reduce the damaging effects of such fats on blood vessels. Researchers from Barcelona's Hospital Clinic conducted a study on 24 adult participants, half of who had normal cholesterol levels, and half of who had moderately high levels of cholesterol. Each group was fed two high-fat meals of salami and cheese, eaten one week apart. During one meal, the researchers supplemented the food with five teaspoons of olive oil. 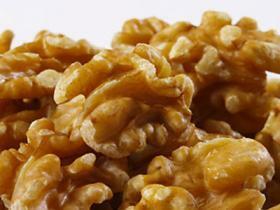 The researcher added eight shelled walnuts to the other meal, the following week. Tests after each meal showed that both the olive oil and the walnuts helped reduce the onset of dangerous inflammation and oxidation in the arteries after the meals, which were high in saturated fat. However, unlike the olive oil, the walnuts also helped the arteries maintain their elasticity and flexibility, even in the participants with higher cholesterol. Lead researcher Dr. Emilio Ros said walnuts' protective effects could be because the nuts are high in antioxidants and ALA, a plant-based omega-3 fatty acid. Walnuts also contain arginine, which is an amino acid that the body uses to produce nitric oxide -- necessary for keeping blood vessels flexible. Professor Robert Vogel, of Maryland University, said, "This demonstrates that the protective fat from walnuts actually undoes some of the detrimental effects of a high-saturated-fat diet, whereas neutral fat, such as olive oil, does not have as much protective ability." Vogel also said walnuts -- not olive oil, as most people believe -- could be the reason the Mediterranean diet is so beneficial. Natural health advocate Mike Adams says raw nuts and seeds offer astonishing health benefits" to those who consume them regularly. For maximum benefit, it is important that all nuts be consumed in their raw, unprocessed and unsalted form. Cooking or roasting nuts destroys much of their nutritional value.